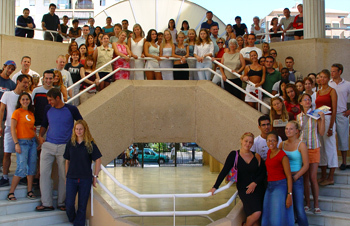 Spanish Language Schools in Spain, founded in 1989, now boasts 12 Spanish Schools destinations all over the country. Each site maintains the same high standards, philosophy and enthusiasm for the Spanish language. The quality of your Spanish language education is therefore our responsability and our prime concern. We accomplish this through our modern methodologies and competent, proven pedagogical techniques. All of which are applied by highly qualified Spanish as a foreign language teachers. Read on to find out more about the Spanish language schools teaching method. We stand out for our extremely diverse student body. Each year we receive students from over 52 different countries world wide, creating an interesting, stimulating and multicultural atmosphere. Students range from children, teenagers and university students to business executives, professionals and senior citizens. At Spanish language Schools we offer courses and programs suited to all ages groups and interests. 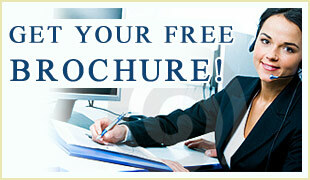 Why Study in our Spanish Language Schools? 12 Spanish School locations throughout Spain. 20 different Spanish Courses to choose from. Travel & Learn, continue your Spanish language course in any of our Spanish Schols in Spain destinations - free of charge! 6 Spanish levels - from beginner to Advanced. Reduced class sizes, the average being 5 and maximum 10 students per group. Extra option: cultural workshops. Courses start every Monday - you can decide the number of lessons and duration of your Spanish program. Outstanding staff and teaching methodology. Activites & excursions organized by each school for evenings and weekends - many free of charge. Free access to books, multi-media material and internet in all Spanish Schools in Spain. We guarantee to respond to all enquiries and reservations every working day within 48 hours when you contact us at our Head Office in Madrid. We also accept last minute bookings.